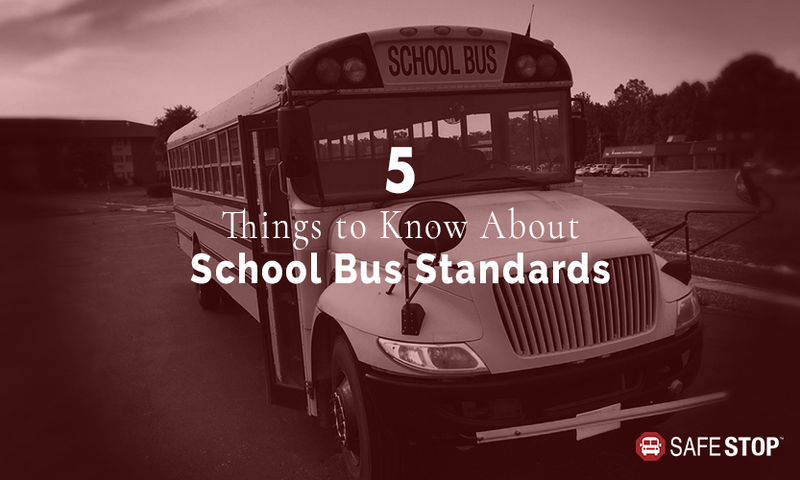 Yellow school buses are a constant fixture in our neighborhoods and communities, yet many people don’t know about the standards in construction, equipment, and inspection they must meet. In fact, many of the standards are higher than any other vehicle on the road. School bus drivers are also required to meet higher qualifications, training, and testing standards than many other drivers on the road. Approximately 480,000 school buses across the country carry 25 million children to and from school daily, and the national safety record lists only five passenger fatalities per year, which is less than 1 percent of all traffic deaths. School buses are the most regulated vehicles on the road with 33 standards for crash avoidance and crash survival, says the National Highway Traffic Safety Administration . They are also designed to be safer than passenger vehicles in preventing crashes and injuries. That’s part of the reason why students are about 70 times more likely to get to school safely when taking a bus instead of traveling by car. School bus design is created to be highly visible, which includes the iconic “school bus yellow,” flashing red lights, cross-view mirrors and stop-sign arms. Inside the bus, the envelope seating, high crush standards, and rollover features provide further protection for passengers. School bus riders are protected legally, as well. For example, it is illegal to pass a school bus when it is stopped to drop off or pick up passengers, regardless of the direction of traffic. This makes it safer for students of all ages to ride to school and be safe while crossing the street. Although seat belts have been required in passenger cars since 1968, school buses are designed to “compartmentalize” and distribute crash forces in a different way so passengers don’t experience crashes as they do in cars, trucks, and vans. Children are protected by the strong, closely-spaced seats that have energy-absorbing seat backs. In small school buses that weight 10,000 pounds or less, you’ll see lap and shoulder belts since the size is closer to passenger cars and trucks and can’t compartmentalize crashes in the same way. School bus inspections are scheduled regularly at the state and school district level, which require strict checks of the brake system, emergency exits, engine and exhaust systems, lighting and electrical, mirrors, seats and barriers, steering and suspension, and paint and markings on the bus. Once inspected, buses often display a sticker on the front windshield to show inspection approval. Some districts also place a QR code inside the door of every bus so anyone with a smartphone can find its current inspection condition.